This new study shows Internet use has entered most households in the U.S., with 78% online. And 92% of those households have some kind of broadband...typically "little broadband" from DSL or cable providers. The most interesting statistic is that growth in households dropping traditional TV has increased about 13% in the past two years, from 8% of household to 9% of households. If that percentage does not increase (which seems unlikely), in ten years, OTT and other IP-TV services will have about half the market. If the rate of change increases to around 20% or 25% per year, the draws near much more quickly for the cable TV companies. Who will win the OTT battle? Apple and Roku are dominating the IP set top box market, with Apple owning 56% of this still small market segment. I'm not convinced that Apple or Roku will ultimately end up with a major portion of this market, as the total number of households that have converted to OTT is still very small. Rapid market growth in the next several years could let a yet unidentified firm capture a big portion of this. As Blackberry has demonstrated so aptly, having a big marketshare early does not automatically lead to market dominance. But I've been saying for years that traditional cable TV, and to a lesser extent, satellite TV, is dead, dead, dead. It is an antiquated business model predicated on sixty year old coax technology. And satellite TV uses the same business model over a similarly bandwidth-constrained medium. But Apple certainly has an early lead, and Google's Chromecast seems to be off to a slow start, but Google can play the long game. And startups like SimulTV may tear off an interesting piece of the market because they have changed the interaction model completely. If companies like SimulTV can master the content license problems, a lot of people will use their services. This article in readwrite confirms something I have suspected for a long time: that most successful entrepreneurs are not twenty-three and worth a billion dollars. In fact, according to the article, "...twice as many successful entrepreneurs are over 50 as under 25. A whopping 75% have more than six years of industry experience and 50% have more than 10 years when they create their startup." And get this datum: "...the highest rate of entrepreneurship in America has shifted to the 55–64 age group, with people over 55 almost twice as likely to found successful companies than those between 20 and 34. Indeed, Kauffman highlights that the 20-34 age bracket has the lowest rate of entrepreneurial activity." What does this mean for broadband? I see a lot of communities trying to leverage broadband with an economic development strategy of trying to attract twenty-something entrepreneurs. And it turns out, according to the data above, that this is not likely to turn out well. For a client located in Canada, we're assisting with the design, specification, and procurement of a very large regional DWDM backbone network that will bring Gigabit services to more than twenty rural and remote communities. For one of our clients located in the Caribbean, we designed, engineered, built, configured, and lit a 10Gig backbone network in just six weeks. Working under a very tight deadline to get the first customer on the network, Design Nine staff developed the network architecture, coordinated the fiber construction, ordered and shipped equipment, procured pre-fab shelters, had the shelters shipped by boat, got all the network equipment shipped, racked and configured the equipment, and brought the network up in time to meet the customer deadline. When you need a network designed and built on time and within budget, give us a call. An FAA advisory committee has said it is safe to use smaller electronic devices during taxiing, takeoff, and landing. It is about time, since flight crews have been using iPads in the cockpit for years. Larger items like laptops will have to remain stowed because in the event of sudden stops or change in direction, a laptop could become a missile in cabin because of its heavier weight. The FAA still has to issue a formal ruling before I'll be able to use my Kindle during takeoff. Amazon has announced new Kindle tablets ahead of Apple's expected announcement of new and upgraded iPad tablets in October. As I have noted previously, the Kindle tablets, especially the Kindle HD, are really good devices and are very affordable. It is great that Amazon is providing strong competition to Apple. The new Kindle features include higher resolution screens and lighter weight, similar to what is expected from Apple. The flagship model is the Kindle HDX, which is priced lower than a comparable iPad. What is really striking is that the Kindle HD has been repackaged and now sells for a paltry $139--an amazing value. Tablet sales are very nearly outpacing traditional PC laptop and desktop sales, and with prices well below $200 for very capable tablets, these devices are beginning to drive broadband demand. In a household of four people, we might be looking at as many as eight or ten Internet-connected devices, including tablets, smartphones, and traditional computers. And so you could easily have four or five devices using bandwidth at the same time. Amazon's low price points is part of a deliberate strategy to make money by selling content--books, TV shows, movies, and everything that is available in Amazon's online store. The bandwidth usage should be getting more attention than it is, and some analysts are buying into the incumbent belief that 10-20 meg of bandwidth is plenty. But we continue to meet business people trying to work from home who are extremely frustrated with their "infinite" bandwidth plans from the cable companies. The big problem is that lack of symmetric bandwidth on DSL and cable connections. An "up to 25 meg up, 5 meg down" plan simply won't support business applications like corporate VPNs and business videoconferencing in any meaningful way. If you think you are going to attract those young, business-hungry entrepreneurs types with some mediocre broadband, a couple of bike paths, and a Starbucks, think again. A start up company called Happy Hubs has just ratcheted the whole entrepreneurial attraction game up several notches. Happy Hubs is renting out luxury workspaces in Costa Rica, and is offering five star amenities like massage therapy, gourmet food service, maid service, and access to a beach. Oh, and of course, lots of broadband. And the whole package compares favorably to what someone might spend in the U.S. on a lackluster place to live, food, and Internet--without all the amenities. Economic development is global. And broadband is enabling the portable business. 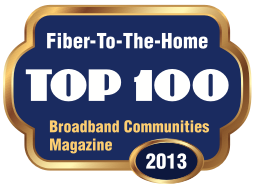 If your community can't deliver affordable, high performance broadband services, nothing else really matters. The first step in overcoming a problem is to admit you have a problem. The national focus on "broadband adoption" is not likely to have much impact without a parallel track that increases the availability of high performance AFFORDABLE broadband infrastructure. I started doing broadband adoption in 1993, when the take rate for broadband was 0%. What I learned the hard way is that people and businesses "adopt" broadband services when the infrastructure to support them is available AND affordable. Both conditions have to exist. Right now, in the business community, business VPNs and videoconferencing are rapidly becoming common, even for small businesses, but the most common complaint I hear--everywhere we are working in the U.S.--is that the incumbent DSL and cable offerings don't support those two services in any meaningful way. So businesses can't "adopt" VPN and videoconference technology if they don't have access to affordable infrastructure. The national emphasis on adoption also ignores the fact that broadband has been adopted faster than any other consumer/business technology in the past hundred years. The incumbents like to promote the idea that adoption is the problem because it essentially blames their customers for the problem, rather than their stubborn attachment to antiquated business models. In a sense, they are saying, "Our customers are stupid, and someone needs to teach them to buy our over-priced inadequate services." Who needs a Gig of bandwidth? Over on LinkedIn, someone wrote, "....Netflix and video-conferencing do not require more than 6 to 10 Mbps. Outside of IPTV, I have no idea how the target of 25 to 50 Mbps can be justified for the average household or business." Let's not confuse the bandwidth needed for Internet access with the bandwidth needed for other services and applications. The incumbents do this intentionally all the time with sarcastic "Nobody needs a Gig of Internet" remarks that are designed to belittle anyone that criticizes them. Here is a real life example to demonstrate my point. On one of our multi-service network construction projects, we met with a major local employer (5000+ employees) who was aggressively trying to offer as much as 20% of their workforce the chance to work from home, as a quality of life issue. They wanted 50 megabit symmetric connections between each home-based worker and the local corporate network. The math for them was simple. They wanted every home-based worker to have HD video meetings with as many as three or four co-workers at a time, with each HD 1080p video stream using 8 to 10 megabits. So you very quickly get to 40 or 50 meg just to take part in the morning staff meeting. To make the video work, you also have to have symmetric circuits. And if those folks start doing some screen sharing with more video, you are quickly maxing out a 50 meg connection. This was all going to be done on the local multi-service network that we have now built, so no IP (Internet) was needed. But we also just had a conversation with a start up IP-TV provider, who told us that two major cable channels (I can't name them, but you would recognize them instantly) are already talking about wanting 15-18 meg PER CHANNEL for very high def live video and 3D movies. So you have four people in the house, and they are all watching a different channel using an average of 15 meg per channel...you are already at 60 meg. This is where we will be in just two or three years. So I still hear, "But you haven't made the case for a Gig." The technology cost of provisioning Gig fiber connections is now just about the same as 100 meg connections. So it is simple economics to deploy Gig...it's just as cheap as 100 meg, and you don't have to worry about running out of bandwidth. Gig is not some exotic connection anymore...it's the industry standard for new active Ethernet connections for FTTH. Again....let's not mix up the bandwidth requirements for Internet access with the bandwidth for local services...two different things entirely. We're watching the death of traditional "TV" and traditional "radio" in slow motion. The networks are going to be the big losers. At one time, they provided a useful service as an intermediary between content producers and watchers/listeners, but today, the content owners can cut out the middleman completely. I just heard an ad from a radio commentator who was promoting her iPhone app. It is free, and allows you to listen to her radio show live from your iPhone, but also automatically downloads the podcast version so you can listen to it later....no radio "channel" required. The idea that network owners like Comcast can somehow force their customer base to use their network by buying and owning content like NBC is really mis-guided, as there are so many other content options out there. Once again, the old adage is true: "The Internet regards censorship (or control) as damage and routes around it." Comcast's control of NBC looks like damage to Internet users, and alternates routes to content will and are forming. David Strom has some great (and easy) tips on minimizing your privacy exposure on some of the popular online services like LinkedIn and Google, and additional tips for iPhone and the iPad. Color me skeptical about the buzz around "The Internet of Things." This is getting a lot of attention, because there is a lot of money to be made getting people to throw out their perfectly adequate $12 toaster and replacing it with a $60 WiFi-enabled toaster that you can control from your smartphone. But adding electronics to analog devices does not automatically make them a)more secure, or b)more reliable. The industry and government push to replace top-loading analog washers and dryers with energy-efficient front loading machines has had speed bumps, as the new machines have very expensive to replace electronics that don't always hold up well in a humid, wet environment. A mechanical control that cost twenty bucks has been replaced by a circuit board that costs $200. And now let us consider this story, in which horrified parents discovered a complete stranger using their WiFi baby cam monitor to talk their child in the middle of the night. Cheap off the shelf WiFi chips and poorly tested network cards are being thrown into these devices as they are rushed to market, and few people are considering or can really even understand the security issues. It's a crazy world we are rushing into. Stockholm's Stokab may be the oldest open fiber system in the world, and a recent study covering nearly twenty years of operations shows that the network has delivered over two billion dollars in economic benefit. Fred Pilot, who writes the excellent Eldo Telecom blog, has started a terrific new site called Work Anywhere Nation. Fred has already posted some very useful stuff on the site, and his notion of "Work Anywhere" ought to be the slogan of every rural town and community in America. There is, of course, a prerequisite to being a "work anywhere" community, and that is "Gigabit everywhere!" You can't work "anywhere" if you don't have the big broadband infrastructure needed to support the work anywhere paradigm. The young people are moving to the "Gig City"
There is some moderately coarse language in this article, but it is worth reading if you are interested in economic and community development. What caught my eye is how successful Chattanooga has been in re-inventing itself as the "Gig City." Three years ago, it is hard to imagine that the creative class in places like New York and Los Angeles could even tell you what state Chattanooga was in, but today, it has become the place for the young and restless to move to. The low cost of living and cheap Gigabit fiber is drawing the Millenials to Tennessee, of all places, but it is really the fiber that has been the catalyst. Why build a Gigabit City? I see two things driving bandwidth demand in the business sector: VPNs and videoconferencing. We talked to a large corporation that has a plan to move 20% of its workforce to the home--an option its wants to make to employees as work life quality issue (e.g. young children to take care of, time shifted work hours, etc.). They want a 50 meg, symmetric, low latency connection between every home based worker and the corporate network. Their math for that amount of bandwidth was simple. They intended to put an HD video camera and large screen monitor on every home-based worker's desk to support ubiquitous and convenient videoconferencing with supervisors and co-workers, and they wanted to support minimum of four people on a call simultaneously, meaning 8-10 Meg x four video streams, or as much as 40 meg just to stay connected. I was in a branch office of a software firm with an interesting set up. They had two very high resolution HD cameras and two very large HD monitors with four large easy chairs facing the equipment. An identical set up was in the main office. They left all four cameras running 10-12 hours a day so that there was a full time HD video connection between both locations, and so it was very easy to have casual and spontaneous conversations with folks in either location. Both offices had affordable fiber connections, so they could "waste" the 40 to 50 meg of bandwidth that these four cameras used continuously for ten hours a day. But this becomes easy AND useful when you have an affordable Gigabit symmetric connection. Communities that want to attract (or retain) companies using bandwidth this way need to be building a "Gigabit City," and doing it now. "....people don't know what they want until you show it to them." Exactly. Asking people what they intend to do with a Gig of bandwidth sometime in the future is not likely to produce a lot of insight, and it will almost certainly "prove" a community does not need to be a "Gigabit City." If asked, most people today will say they are reasonably satisfied with the bandwidth they have TODAY, because that is the only context of their experience. "If I had asked people what they wanted, they would have said 'faster horses.'" We do broadband surveys regularly, and they can provide some very useful information, but they are just a momentary snapshot that tells you what people and businesses are doing NOW. They tell you very little about what those people and businesses may need in the future, because as both Jobs and Ford recognized, people are not very good at describing something they have never seen or used before. I hear constantly now, "Why does anyone need a Gig of bandwidth?" The value of a Gig fiber connection is about the future, not the present. It is about preparing citizens, businesses, and the community to be able to compete for jobs and businesses over the next five to thirty years, with future-proof infrastructure that will support FUTURE needs. If a community wants to stand still economically, then it can stay with its current copper-based telecom infrastructure, effectively freezing economic development at where it is today. But if the community wants to grow economically, retain businesses, create jobs, attract entrepreneurs, and bring new businesses, the Gigabit connection becomes a critical part of a forward-thinking economic development strategy. So I just ran across a word I had never seen before: phablet. It was in this article about a new Android phone that is allegedly going to be released soon by HTC. You can see from the picture that it is much bigger than current smartphones, but not quite as big as "mini" tablets. I don't know how you could lug this thing around; my pants and jacket pockets just are not that big. You would need a man bag or a purse, and you would look ridiculous talking on your phablet, with your side of your head nearly covered by it. "When Toilets Attack" would make a great name for a B-grade movie, but this is a true story. We hear constantly now about "the Internet of Things," and Cisco is promoting this idea among many other companies. It's the idea that we will have many devices in our homes and businesses that are IP-addressable (and hence the need for IPv6, but that's another story). A Japanese toilet has an accompanying Android app that lets you "control" toilet functions like flushing, bidet faucet, and odor control fans, among other options. But the Bluetooth enabled commode can be controlled by any nearby Android device with the app, not just the owner of the flush-a-tronic crapper. While this is mainly funny, the marketing hype of "the Internet of Things" is outstripping adequate software design and testing, as evidenced by this article about how cars can be hacked easily to create dangerous or deadly driving situations. While a computer has to be attached to the cars input port, this could be done easily without the owner of the vehicle even knowing, and then the rogue computer could control the throttle and brakes.